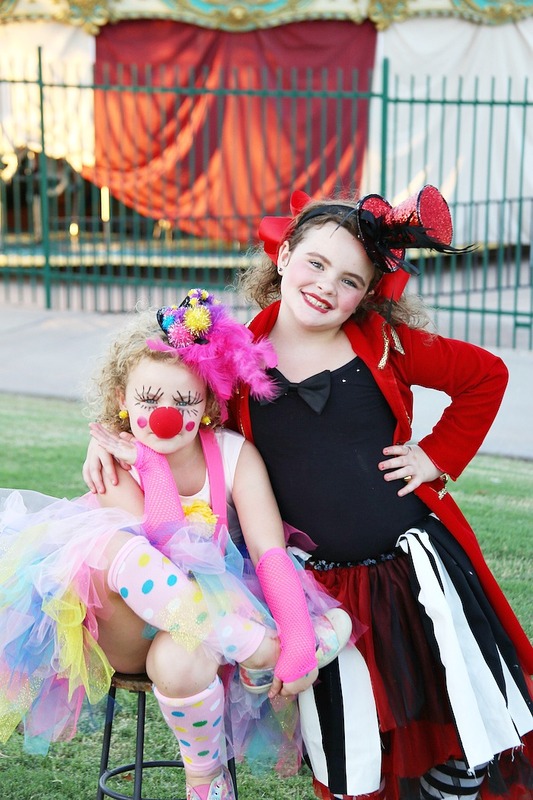 This year I did this easy, quick, cheap and super cute DIY Clown Costumes. 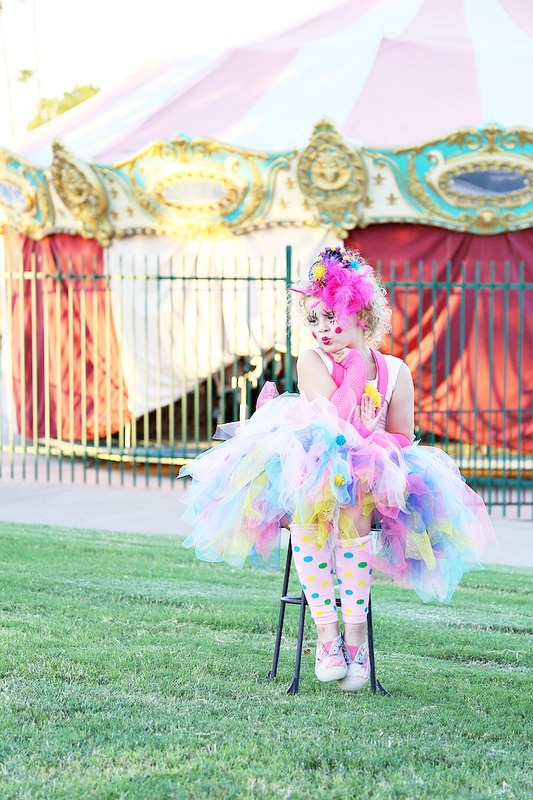 This DIY Clown Costume is still one of my favorite costumes we have ever done. 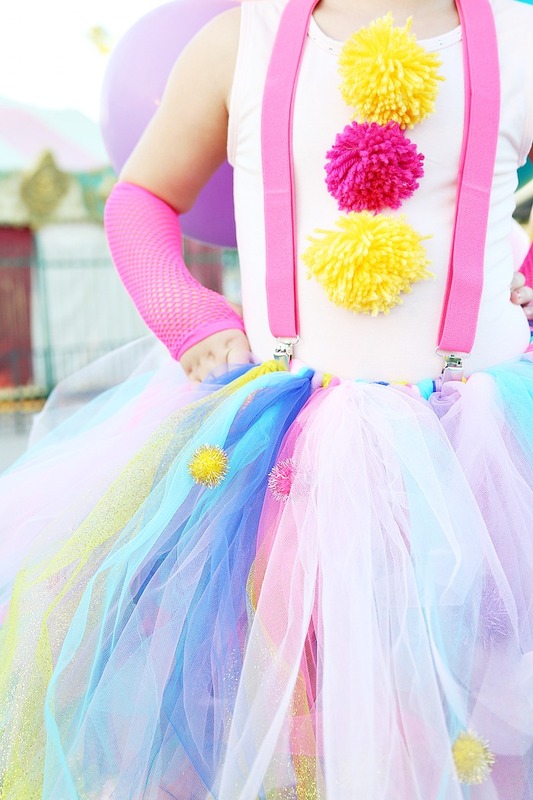 For this this costume we started out with a basic pink ballet leotard and embellished the entire thing. 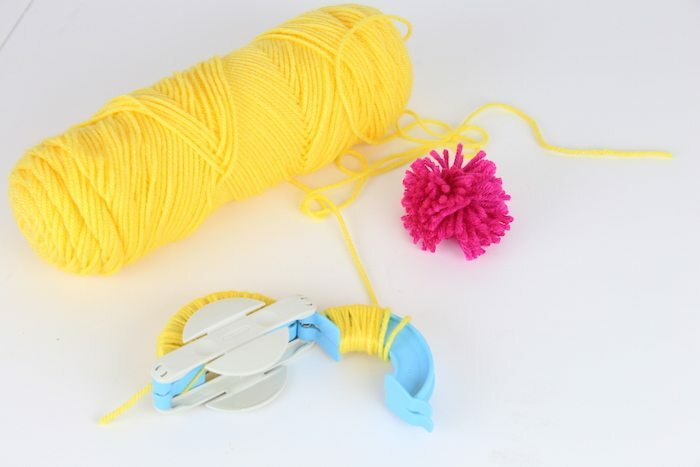 We used our pom pom maker to make different colored pom pom balls out of yarn (2 yellow, one pink) and stitched them to the bodice of the leotard straight down the middle. 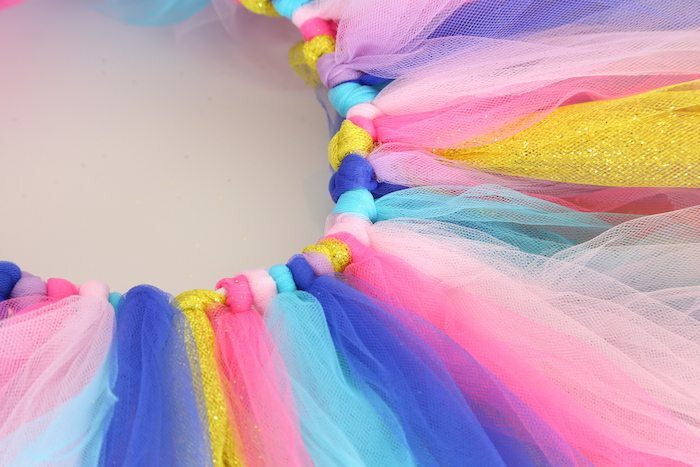 We started the tutu. First we measured Millie’s hips and made a circle out of the elastic for her waistband. 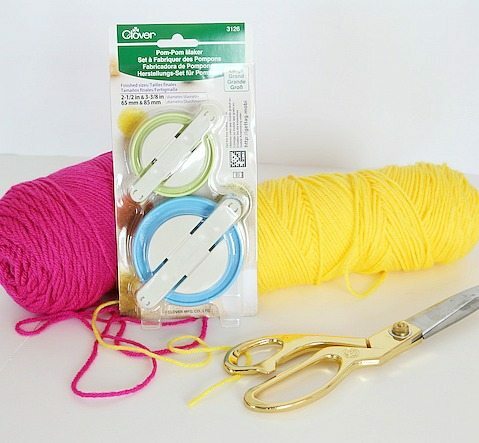 Stitch the two ends of the elastic together to make a circle. 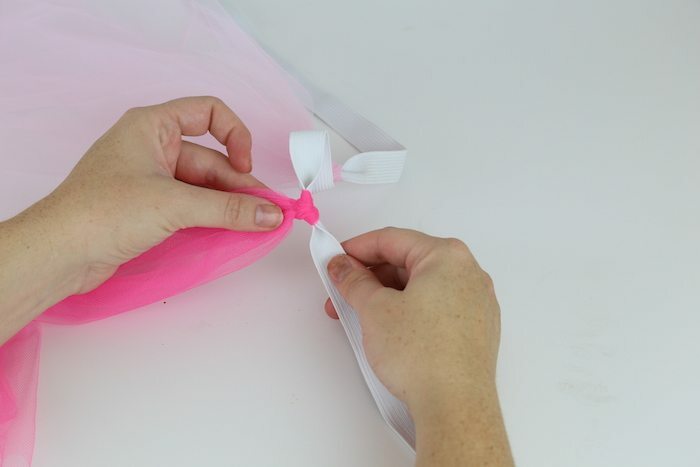 Next, we created the tulle skirt. 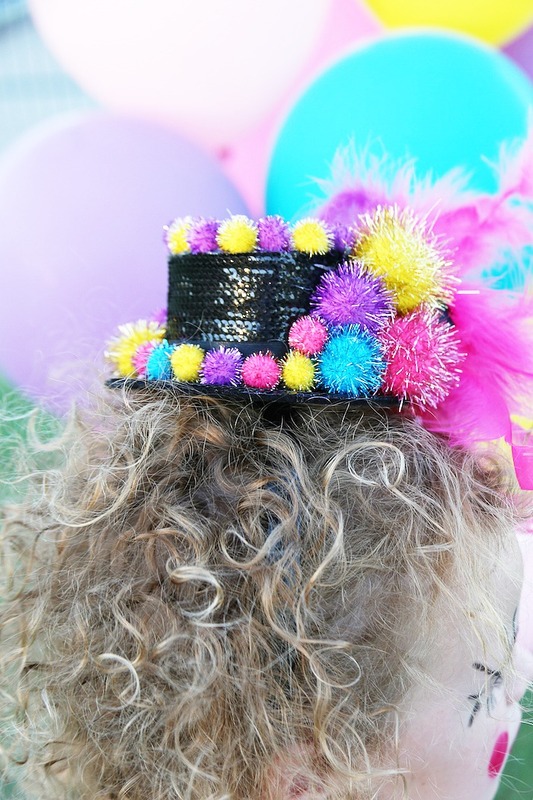 We used 110 yards of 8″ strips of tulle. They came on these handy rolls. 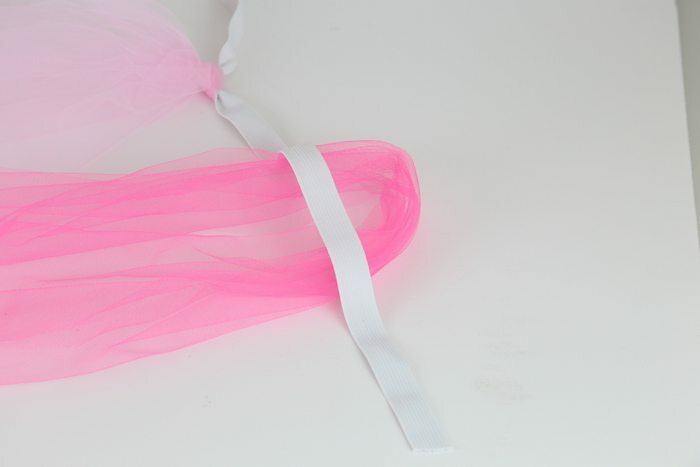 It was definitely a full skirt but we could have even used more tulle. 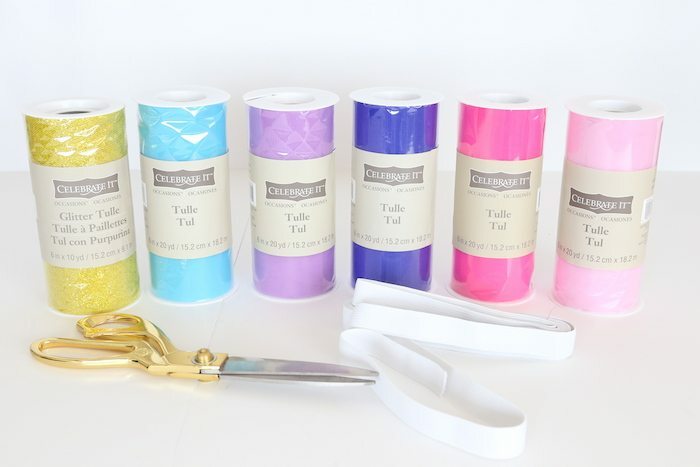 We cut the roll into 24″ strips. This length will be half the length of the skirt. So 24″ strips make a 12″ long skirt. How long did the skirt take to make? 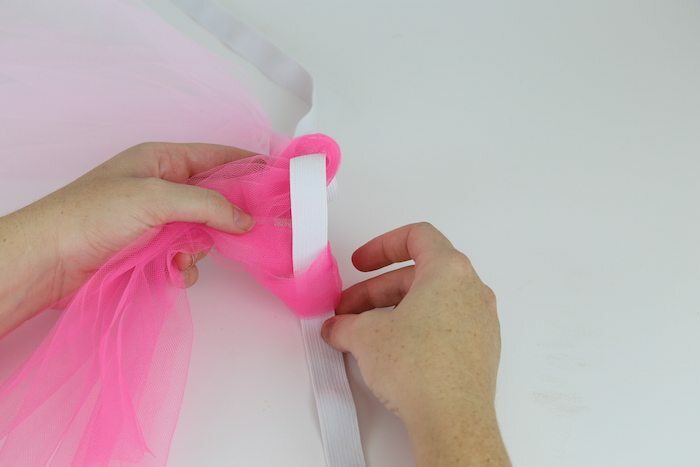 we folded our tulle in half and tied it to the waist band. 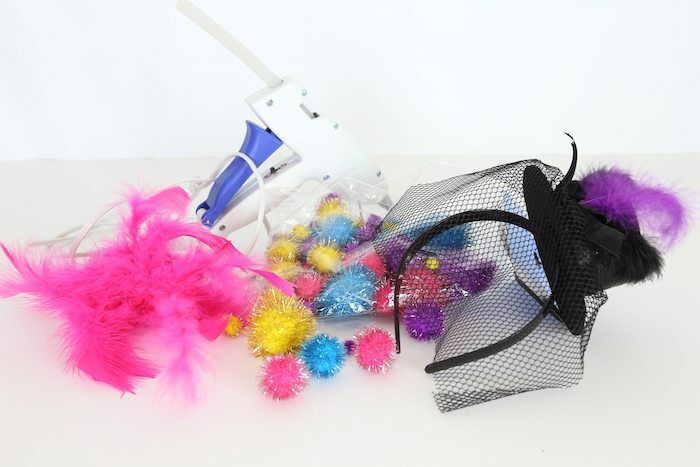 This process went by really fast and we actually started using two at a time and it worked great! 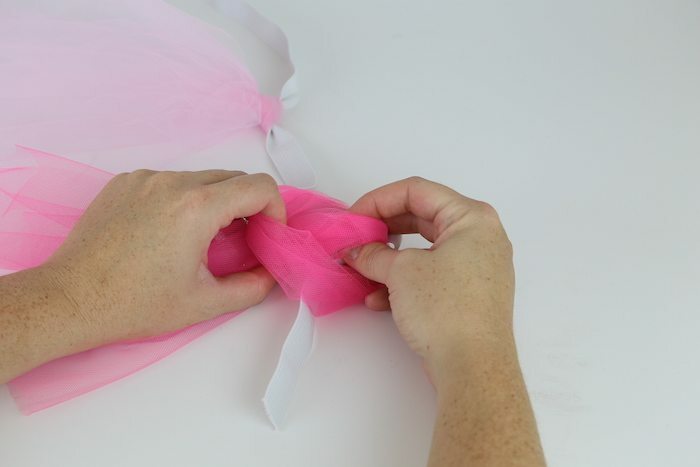 The whole skirt took about 20 minutes with two of us tying the knots. 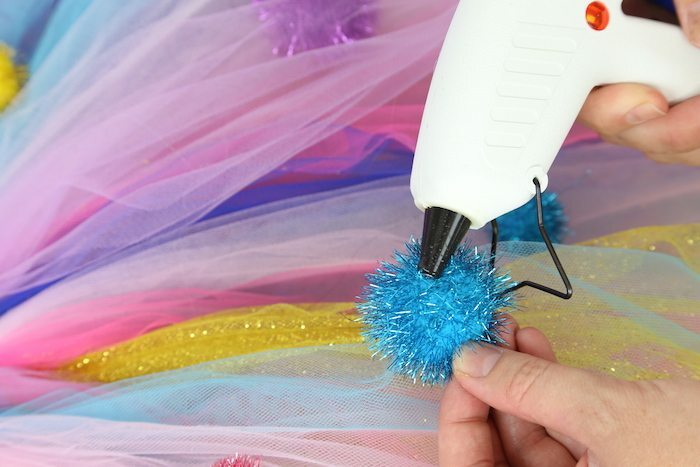 We hot glued the sparkle pom poms to the top of the skirt to give it even more texture and playfulness! 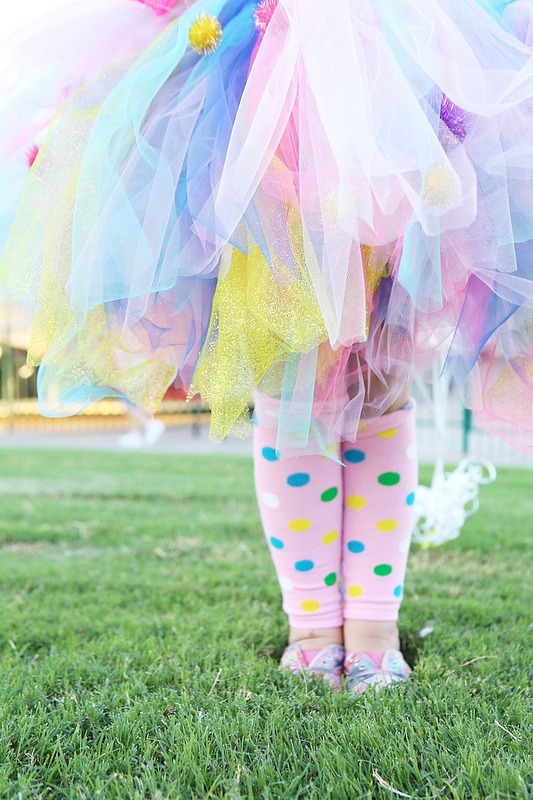 We LOVE how the skirt turned out! Finally, we dressed her up. Leotard then skirt, suspenders, leg warmers, arm gloves, hat! 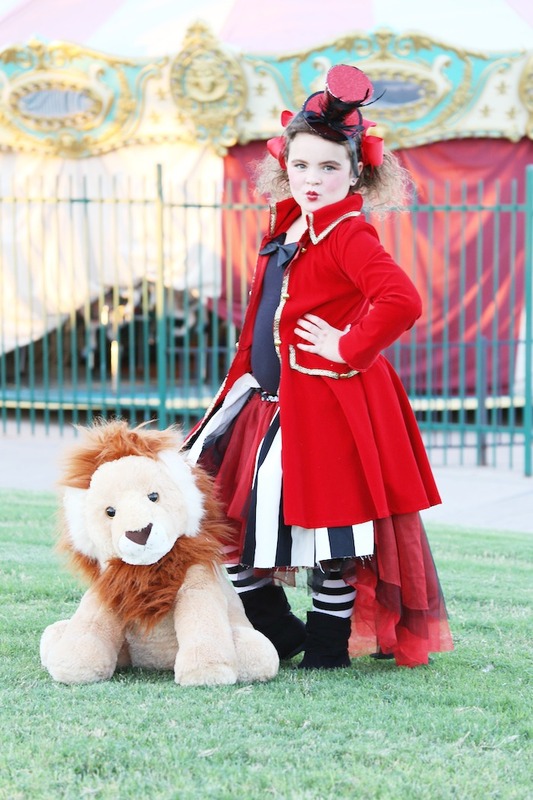 The Ring Master costume was made for Millie’s older sister Leesie. I bought a Ring Master costume and I added a few more things to pull this costume together. 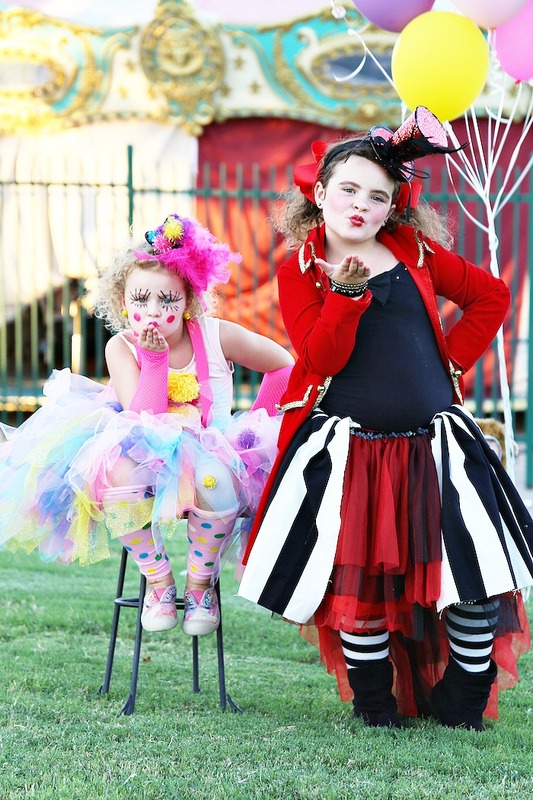 To start the costume we started with a black leotard, striped tights, red and black skirt. Then, added the striped fabric and bowtie. We even used a pirate jacket by cutting off the puffy sleeves and it’s perfect for a ring master! Cutest! 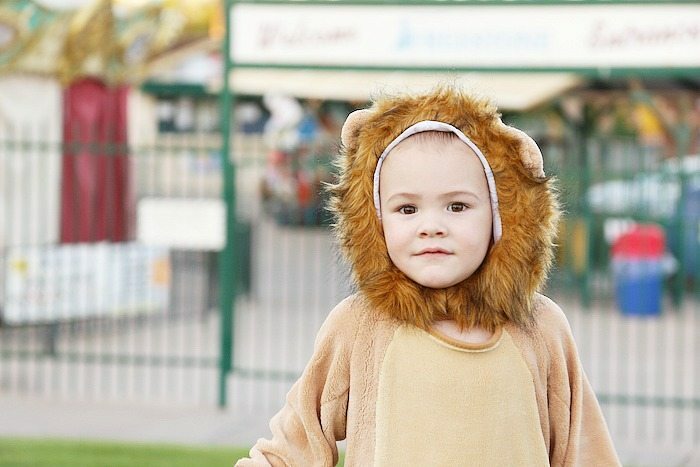 Their little brother Ryder is going to be a lion! Is that not the cutest thing you’ve ever seen. We love a good sibling costume theme! 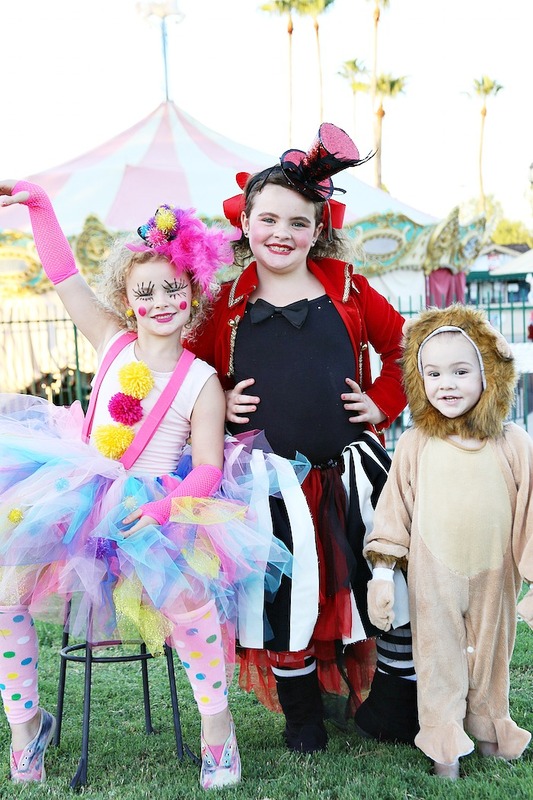 Girly Clown + Lion Tamer + Lion, YES! Their basically the cutest things you’ve ever seen! I LOVE this! 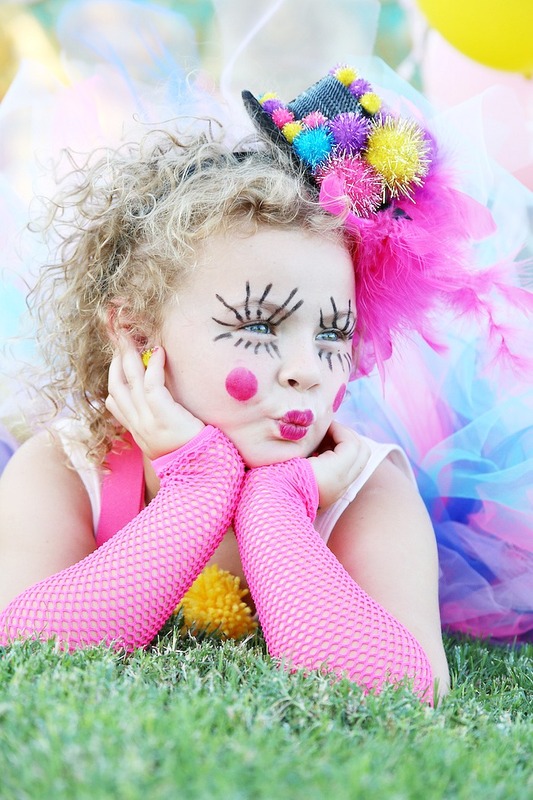 I want to be a girly clown!! I like this blog very much thank you for share this wonderful blog. This would be fun to do! Thanks for all the great ideas. Pinned for later.